[:SITD:], aka "Shadows in the Dark," hail from Germany's real industrial heartland, the former coal and steel centers of the Ruhr area, and can be counted amongst the most acclaimed new projects of the present European club scene. Forming in 1996, the band originally comprised of Carsten Jacek and Thorsten Lau. The two made a name for themselves when they entered a local music contest called "Rock Around Bochum," ultimately walking away as the champions of the contest. As a result of this success, [:SITD:]'s song "Trauerland" was added to the Rock Around Bochum '96 compilation and gave the band a very positive first impression. Following the compilation, the band members decided to produce 1996's Trauerland and 1999's Atomic on their own, distributing copies at shows and through magazines. In 1999, Thomas "Tom" Lesczenski entered [:SITD:] and brought a whole new energy to the band's line-up. Following Tom's joining of the band, [:SITD:] released a demo version of Snuff Machinery and distributed it as a limited edition "DJ's-Only-Maxi-CD." The demo was promoted by DJ's throughout Bochum and became a club hit throughout Germany by word-of-mouth until it was released as a "club version" in October 2001 on the Septic II CD compilation by Stefan Herwig (Dependent / Mindbase ). The sampler was the beginning of much success for [:SITD:] as it was a number one hit in the D.A.C. (Deutsche Alternative Charts) for weeks. [:SITD:] supported VNV Nation on their "Futureperfect-Tour" in 2001 causing them to receive more attention and ultimately a record deal with Solingen/Germany. Soon after in February 2002, keyboarder Andre Sorge left the band as a mutual agreement in order to dedicate all of his time to his industrial project Contaminant. 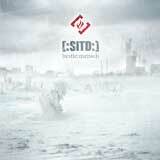 Still going strong, [:SITD:] released the Snuff E.P. in April 2002 which became an immediate hit. The EP hit number 1 on the Dutch Alternative Charts and remained number 1 on the German Alternative Charts for three weeks, a success never achieved by a "newcomer" band in the past. By December 2002, the EP climbed to number 9 in the Dutch Alternative Charts and the track "Snuff Machinery" was voted number seven in Orkus Magazine's "Most Popular Song of the Year" issue. Snuff E.P. was the first step in international success for the band. In June 2003, Shadows in the Dark released Laughingstock, a maxi-single that confronted the horrible events that occurred at Columbine High School in the U.S. and at the Gutenberg-Gymnasium in Erfurt, Germany. 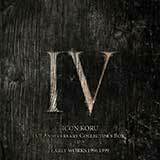 Quickly becoming a hit, the single was number one in the Gothic-World-Charts, number two in the German Alternative Charts (D.A.C.) 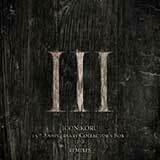 and number three in the Dutch Alternative Charts (D.U.C.). That same month, [:SITD:] remixed Suicide Commando's "Face Of Death" and Bruderschaft's "Forever." Both remixes became number one on the D.A.C. Metropolis Records released Stronghold in September of 2004. The apocalyptical electro hymns on Stronghold gave the album an air of diversity and thrill between the heaven of despair and the hell of hope. 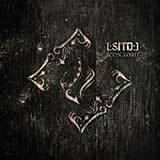 In early 2005, the [:SITD:] album CODED MESSAGE: 12, was an exploration of the significance of the number 12. In exploring these themes, [:SITD:] created another masterpiece, twelve tracks that seamlessly moved from full on aggression to haunting beauty. 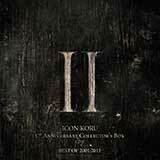 Dark, harsh and powerful, CODED MESSAGE: 12 was brilliantly produced, full of bone crunching beats and apocalyptical electro hymns. After a quiet two years, SITD returned with Bestie:Mensch. 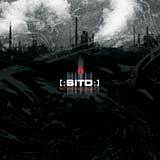 Having already won over dance floors worldwide, [:SITD:] further cemented its place as a major force in the electro-industrial scene. Bestie:Mensch featured 11 machine-tooled tracks, exploring the darker side of mankinds psyche. 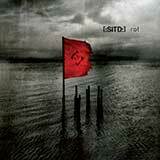 For 2009, [:SITD:] presents its newest album, ROT. In color psychology, ROT (red) is associated with energy, heat, blood and strong emotions like: aggression, passion and love. Furthermore ROT represents revolutionary movements and symbolizes wrath  one of the seven deadly sins. While knowing this, ROT is the perfect title for [:SITD:]s new album. Each track is a driving force that no dance floor will be able to contain.